The festive atmosphere of Christmastime is something you feel throughout the month of December. Decorated window displays and streets, Santa Claus and angel figures spotted here and there, Christmas songs flowing from speakers… Perhaps you too would like to be a part of it? Nothing could be easier! Just put on one of our Santa hats instead of your usual winter headgear. 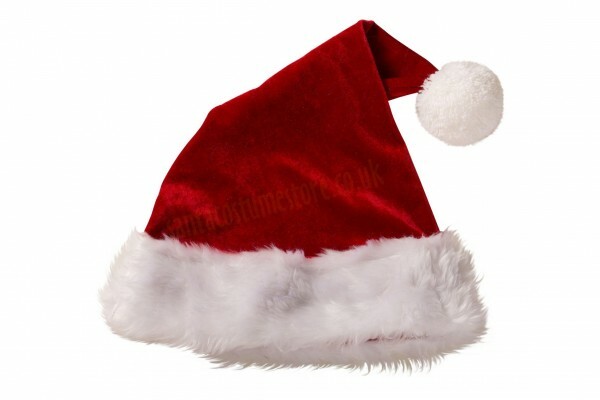 Our deluxe Santa hat is made of soft, thick red fleece. 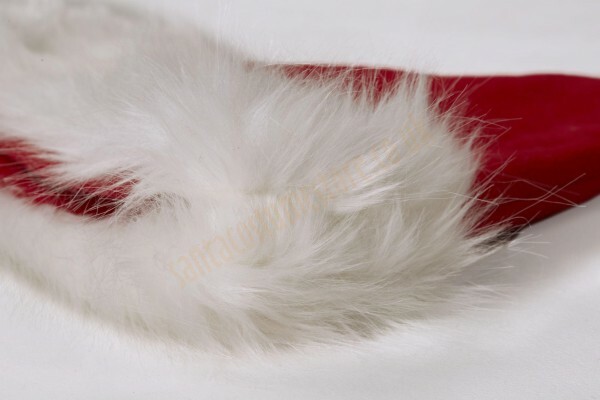 It is trimmed with a warm-white band of faux fur, 4" (10 cm) wide and with 2" (4.5 cm) pile. The hat comes topped with a fluffy pompon, 3" (7 cm) in diameter. So the kids no longer believe in Father Christmas, but you want to keep the Christmas tradition going? If that’s the case, it’s not an entire outfit you need, but just a small festive accent – for example a Santa hat. This hat is suitable for wearing without a Santa wig; its size is designed for it to be worn directly on the wearer’s own hair. 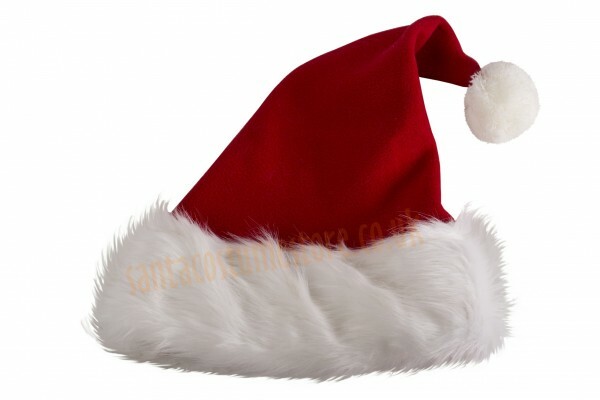 Hats designed for wearing on top of a wig (meaning that the circumference is significantly larger) are only available purchased as part of a set – in the Deluxe and Super Deluxe Santa suits. All you need is to don such a hat to evoke that Yuletide mood!